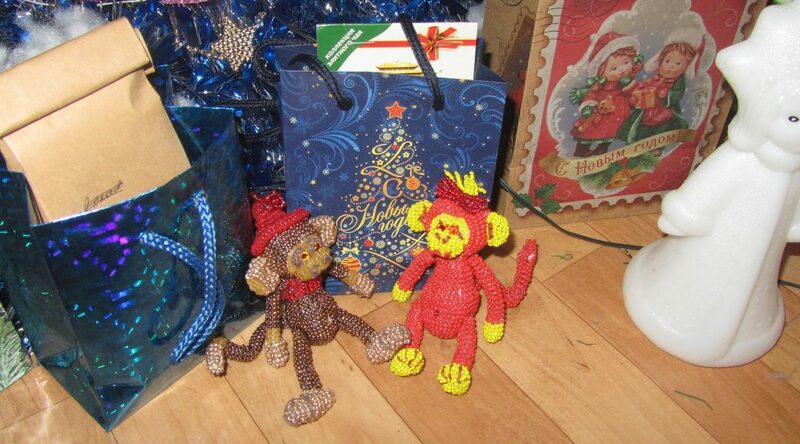 Once on the Internet, I found out that out of, it would seem,simple wire and beads can make such a sweet decoration for any holiday. I decided to try and that's what I got. 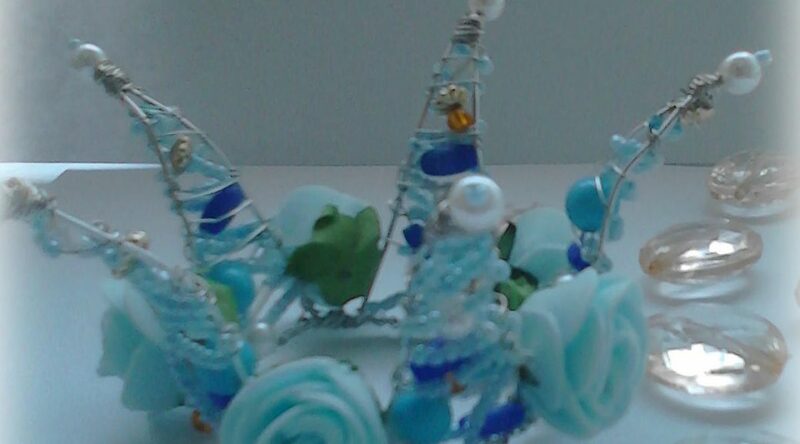 The crown is made of wire, beads, beads and roses from the fameiran. Such crowns can be attached to both the rim, and, making a smaller version, a rubber band, or even a hair clip. 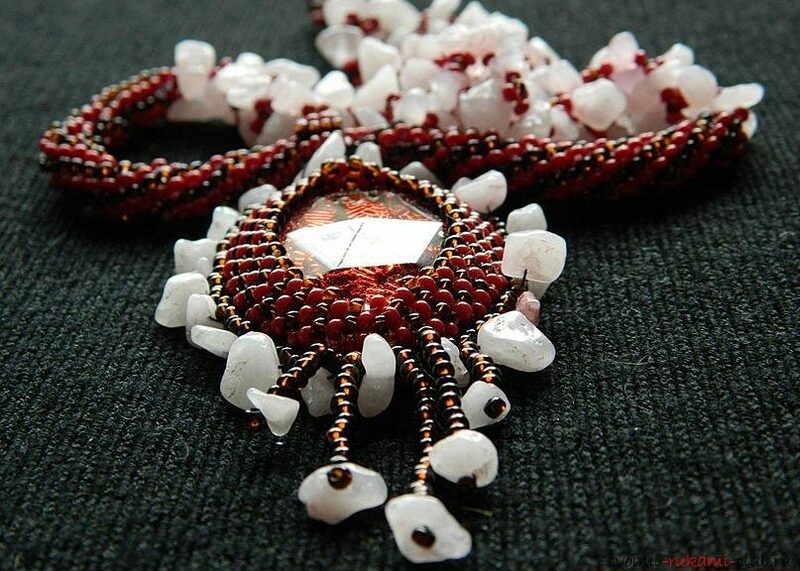 Necklace from Czech beads with elements of semiprecious felling of rose quartz. It consists of a base (beaded bundle) and a suspension (cabochon). Looks impressive and bright! 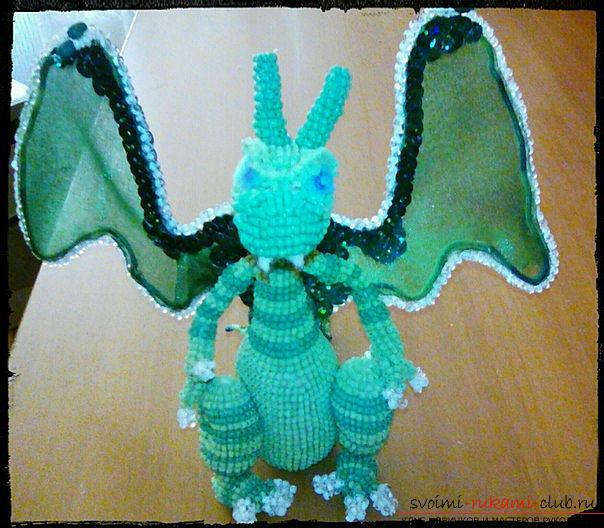 Green Dragon. The trunk is made entirely of beads. Wings made of organza, decorated with paillettes. It was made in August 2016. Very gentle and at the same time festive and brightburn in the technique of Turkish knitting. 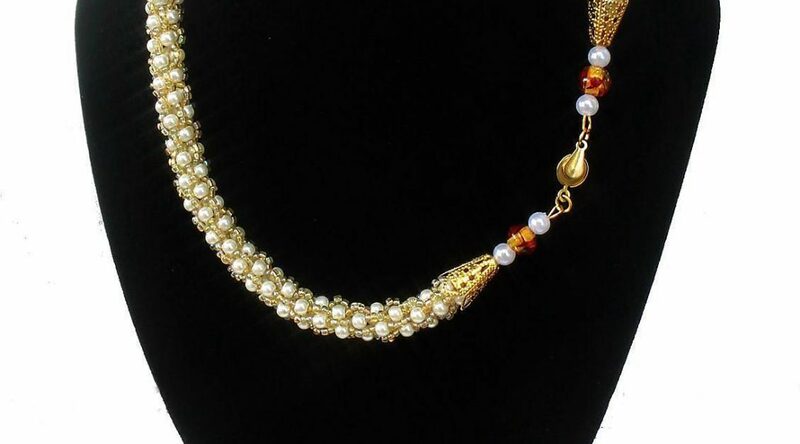 It is made of glass white beads and golden beads. Fittings for gold very relevant looks and completes this necklace. The length is 46 cm. 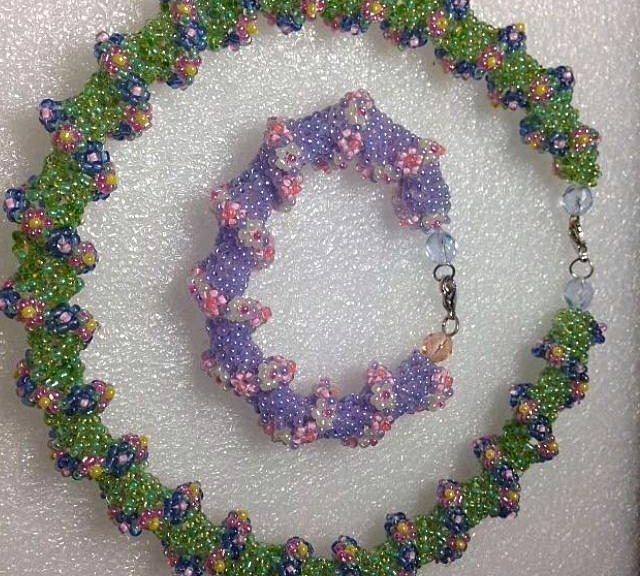 This bracelet is made of Czech beads in the technique of "Corals", hence the name of the bracelet "Coral Flower". A TREE FROM THE BISER WITH YOUR HANDS - WHITE CHEREMOKHA. 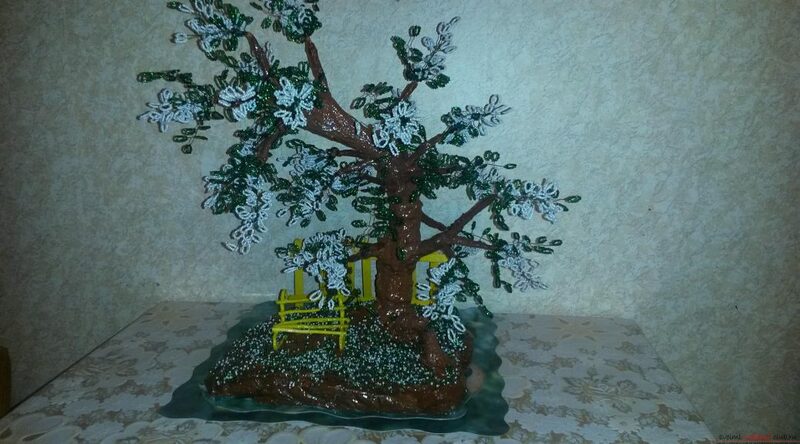 General description of the tree: the composition "White bird cherry" is made of green beads of several shades, from light salad to grassy. 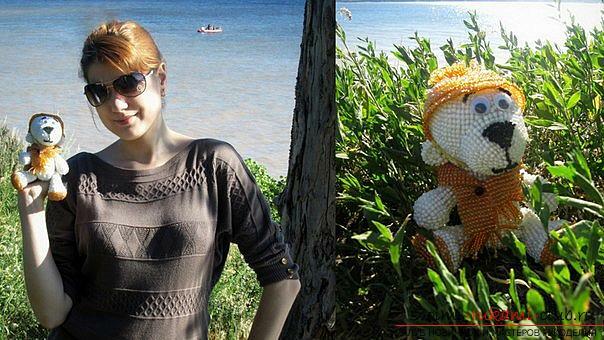 A wonderful toy from beads. A polar bear in a hat and with a scarf. It was carried out in July 2014. Two monkeys (symbols of the year 2016). 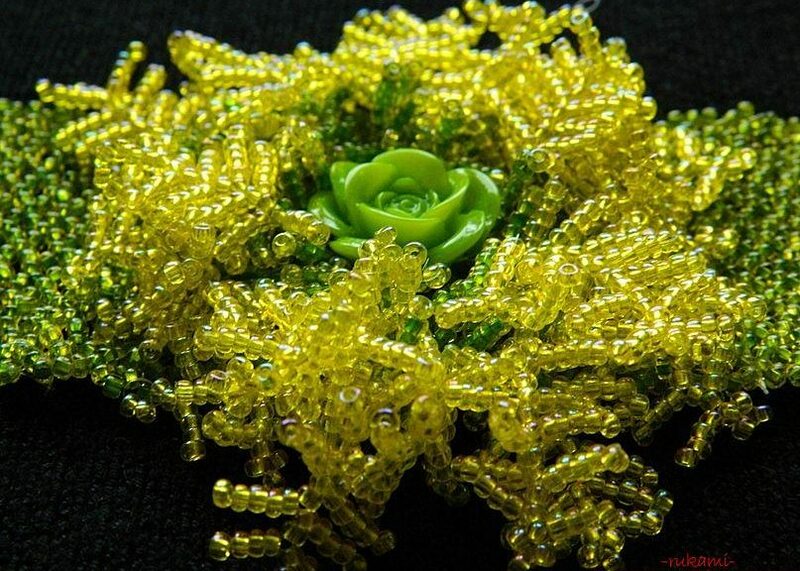 Completely made of beads. Sizes with an adult palm. They were made in December 2016.